Being from B.C. isn't half bad, either. The official deadline to file your income taxes is coming up on April 30. But how much will you pay? The 10 and 3 has some answers. The website, which specializes in data visualizations, has produced a map of Canada showing your take home pay at various salary levels. The map allows you to plug in your gross household income to show you your after-tax pay for the 2015 tax year. 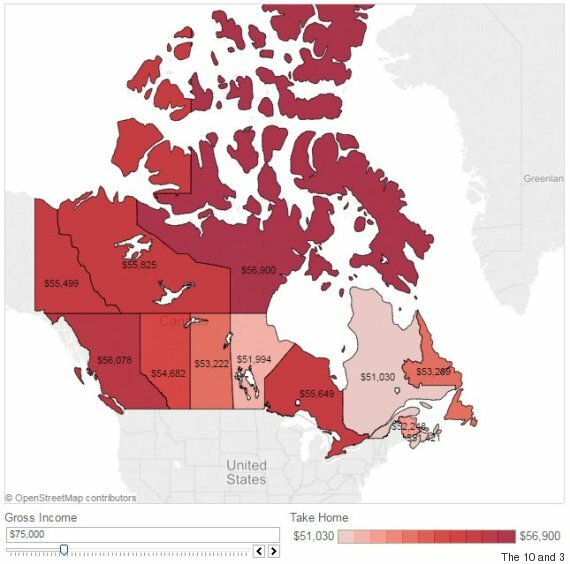 And there are some interesting results when you enter the most recent estimate of Canada's median total income ($76,550, though the map only allows you to input $75,000). 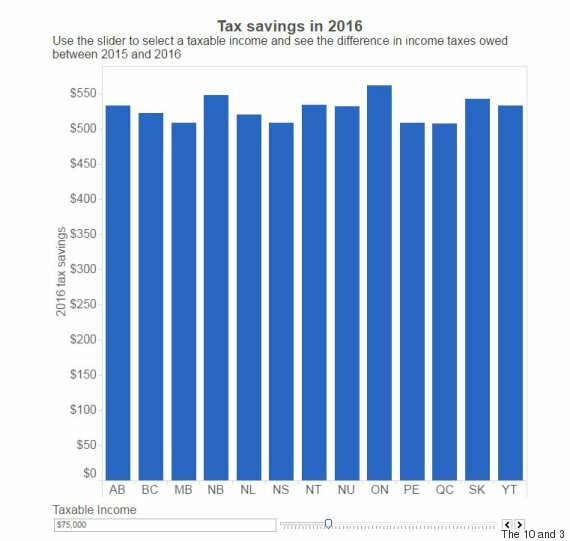 You'll find that Nunavut is one of the best places you can be at tax time. At $56,900, the northern territory beats everyone in terms of take-home pay. Total Nunavut taxes for an income of $75,000 are calculated at $14,600, with federal tax eating up $11,163, provincial tax $3,437, Canada Pension Plan (CPP) taking $2,544 and employment insurance contributions racking up $955. Next on the list was British Columbia, with take home pay of $56,078, followed by the Northwest Territories ($55,825), Ontario ($55,649) and the Yukon ($55,499). Of course, Nunavut has its challenges. Food there costs twice as much as the Canadian average, CBC News reported last year. Most Canadians would have paid $5.03 for a 2.5-kilogram bag of flour last year. 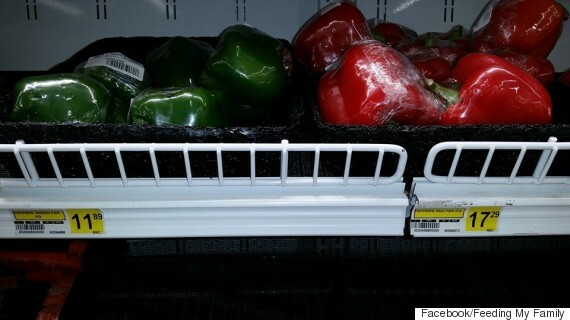 Nunavut residents would have paid $13.60. The 10 and 3 came up with its data by looking at personal tax brackets as advertised by the Canada Revenue Agency, as well as tax rates in the provinces and territories. The site took into account federal tax reductions for the middle class which kicked in on Jan. 1. Taxes for people who make between $45,282 and $90,563 were reduced from 22 per cent to 20.5 per cent for 2016, bringing savings of $680 for people at the top of the range, CBC News reported. But The 10 and 3 points out that taxpayers have to make a lot of money before they earn those savings. Ontarians, for example, would have to gross over $80,000 before they saved $670 on their taxes. Meanwhile, Ontarians who make $40,000 will only see about $30 in savings. This chart shows how much more you'll pay (or save) in 2016 compared to last year. Taxpayers are expected to file their forms by April 30 — but because that falls on a Saturday this year, Canada Revenue will give you a grace period until May 2. Anyone who was self-employed in 2015 can file by June 15, but if you have a balance owing, you're expected to file by May 2. The Canada Revenue Agency is also making the process easier this year by allowing you to auto-fill your form online.